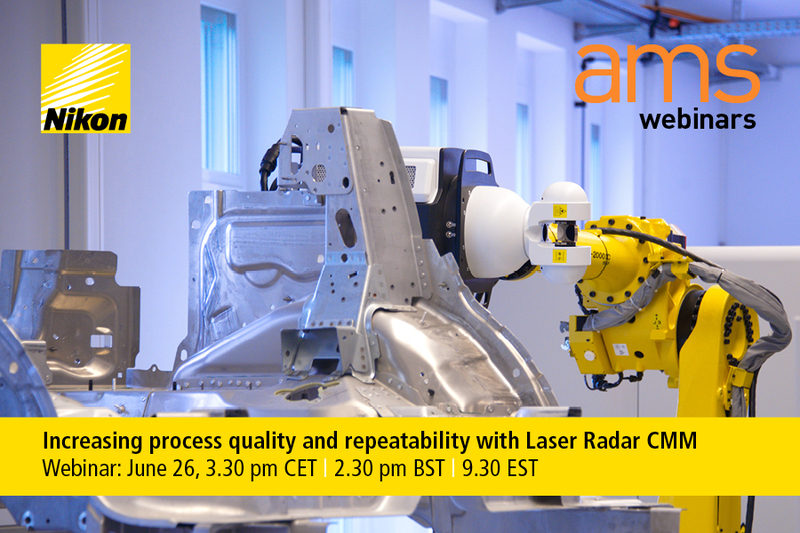 The ‘Increasing process quality and repeatability with Laser Radar CMM’ Webinar will take place on Tuesday, June 26th at 15:30 CET | 14:30 BST | 09:30 EST. The Nikon Metrology Laser Radar CMM solution encapsulates these requirements to provide fast, CMM quality measurements, on the shopfloor. It is a unique alternative to the traditional car body inspection methods, providing accurate, absolute measurement data anywhere in the factory. Find out more about the Laser Radar. This webinar is presented by Paul Lightowler, Laser Radar Product Manager, Nikon Metrology.